[PDF] Energy Management and Conservation Handbook, Second Edition (Mechanical and Aerospace Engineering Series) | Free eBooks Download - EBOOKEE! Description: Energy is the mainstay of industrial societies, and without an adequate supply of energy the social, political and economic stability of nations is put into jeopardy. With supplies of inexpensive fossil fuels decreasing, and climate change factors becoming more threatening, the need to conserve energy and move steadily to more sustainable energy sources is more urgent than ever before. 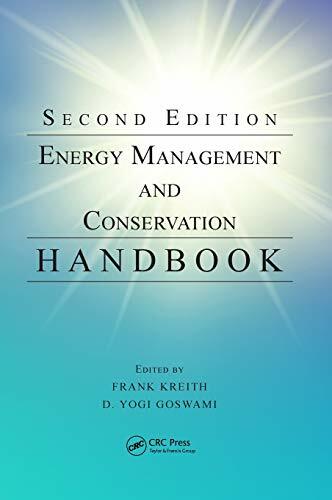 The updated Second Edition of this successful handbook includes chapters from leading experts on the economics and fiscal management of energy, with a focus on the tools available to advance efficiency and conservation measures. Updated coverage of renewable energy sources, energy storage technologies, energy audits for buildings and building systems, and demand-side management is provided. The appendix of the handbook provides extensive data resources for analysis and calculation. No comments for "[PDF] Energy Management and Conservation Handbook, Second Edition (Mechanical and Aerospace Engineering Series)".